The problem of drunk driving is a serious issue that keeps taking thousands of lives every year.Too many deaths have been reported on because of drunk driving. Not only is the victim of drunk driving affected but also their family members and friends. Sometimes, only one drink can cause a tragic accident. There are a lot of solutions to the prevention of drunk driving, but they are effective only if you actually implement them. It should be noted that every 90 seconds a casualty that is related to drunk driving happens. Unfortunately, drunk driving doesn’t happen occasionally, since there are negative consequences each day of the year. The majority of casualties related to drunk driving are not necessarily those who have been drinking. They could be people who are just driving home from work. All of a sudden, they get hit by the person who has been drinking this evening. What would be your feelings if you took a person’s life? Would you manage to deal with it for the rest of your life? Despite the fact that some people think we are too concerned about drunk driving, you should consider the following statistics.There are approximately 65% of people, who have been convicted of drunk driving, still on the roads driving with an expired license. When it comes to drunk driving, teens are the ones who come to our minds first. Due to peer pressure, they consider drunk driving as the way to build their self-esteem. Because of their reckless attitude, many people become victims of road accidents. Teens usually do not realize the negative consequences one drink can cause. Sadly enough, one drink can change lives of many people in a few seconds. 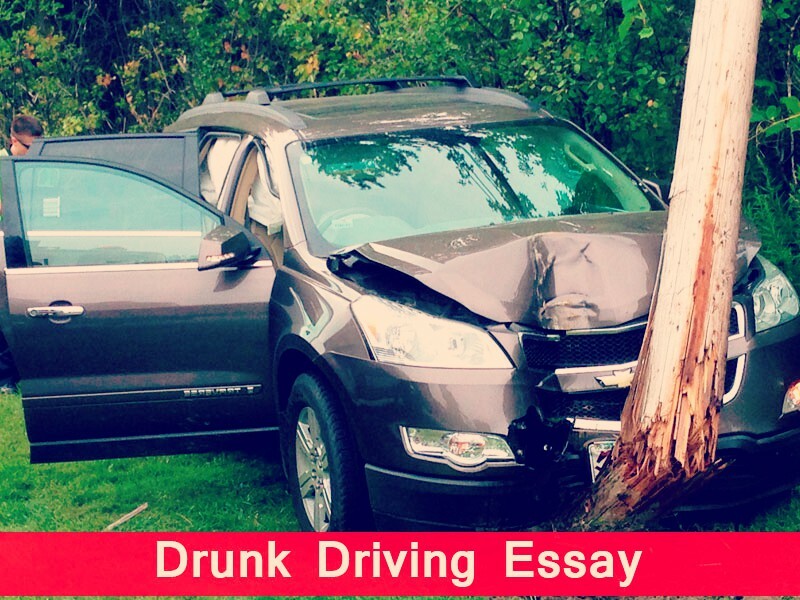 Ultimately, drunk driving is a serious problem that should definitely be prevented. There are various solutions that can help to prevent drunk driving. One of the most successful ways to stop drunk drivers is the installation of more sobriety checkpoints that will definitely increase the chance of arresting the drunk people at the wheel. If there are more arrests, drivers will be more cautious on the roads. Regardless of the attitude towards sobriety checkpoints, they are actually effective when it comes to preventing trouble on the roads. In addition, sobriety checkpoints help to avoid creating more deaths on the roads caused by the intoxicated drivers. Another way of avoiding drunk driving is having a designated driver whenever you are out drinking. A designated driver is a person who is willing to drive home their friends who have been drinking all night long. Designated drivers help to prevent the drunk drivers from potentially getting in a fatal accident. When a designated driver takes the keys of a drunk person, it keeps him/her from getting in his/her car and driving under the influence of alcohol. Drunk driving is an issue that cannot be taken lightly, as we all should do our part in order to save innocent lives on the roads. Since there are too many deaths and injuries in the past few years, it is highly recommended not to drink and drive. It’s your choice, so be prudent and wise when you are making it.